The fitgirl trend is hip and happening; you can find stories of healthy, active women everywhere. Thanks to the new products by EQDOG petshops can now join in this craze. The young, Scandinavian brand now offers a special jogging hip-belt which offers much support for running with your dog. 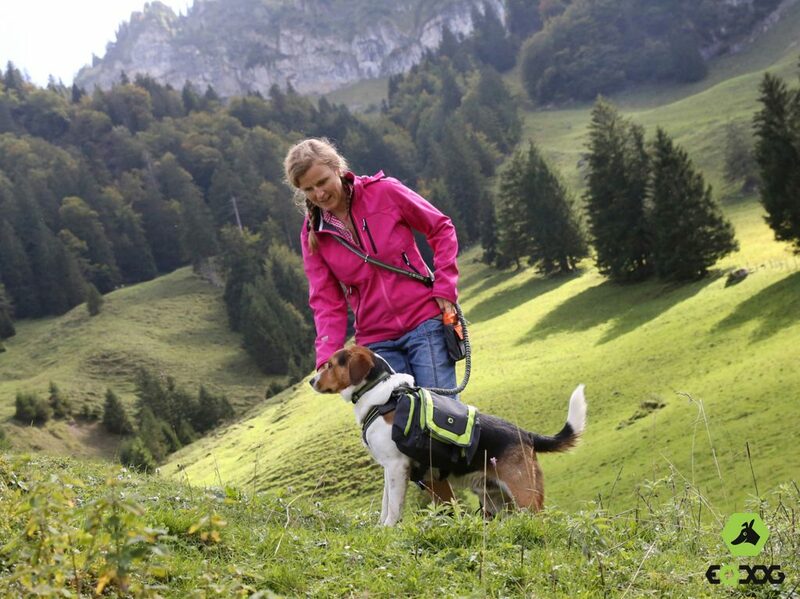 The lightweight dog leash can be attached to the all-new and lightweight (only 88 grams!) Jogging Belt. With the extra grip and breathable material the belt by EQDOG will add even more comfort when running with your dog through the woods. By popular demand EQDOG will now add 2 colour schemes to their Classic Leash and also an additional size (xs) for the Classic Collar. EQDOG also upgraded the ProHarness with a new colour (orange), stronger sewing and improved materials. This will make the extra long walks even more enjoyable for dog and humans! Want to know more? Ready to order? Want to see the EQDOG products? We like to set a meeting and show them to you. Of course they can be ordered straight away. Feel free to contact us for more info or to place an order. Call us at +31(0)6 109 104 63 or send us a mail at info@noho.nl.